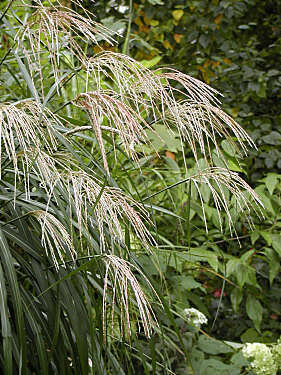 Perennials are one of the most useful groups of plants. They provide interest during the season. Few flower for very long but they move your focus around the garden depending on what is in flower at a particular time. Once I have found a plant that likes my garden, I tend to go out and get different varieties of it. This way, you get variation in the flowers that you grow and yet still have reliability that they will be happy with you. Anemone japonica – Wonderful for autumn colour. Never noticed any damage from the dogs. Comes in pinks as well as whites and sometimes doubles too. Sun or light shade, moist or well drained soil, hardy (H4). Aqualegia – aka Colombine or Granny’s Bonnet. Gorgeous flowers that light up spring. With us for all too short a period, but in a funny way, all the more endearing for it. Comes in a wide range of colours. Bi-colours can be particularly striking. Short lived, but extremly likely to self seed. Sun or light shade, moist or well drained soil, hardy (H4). 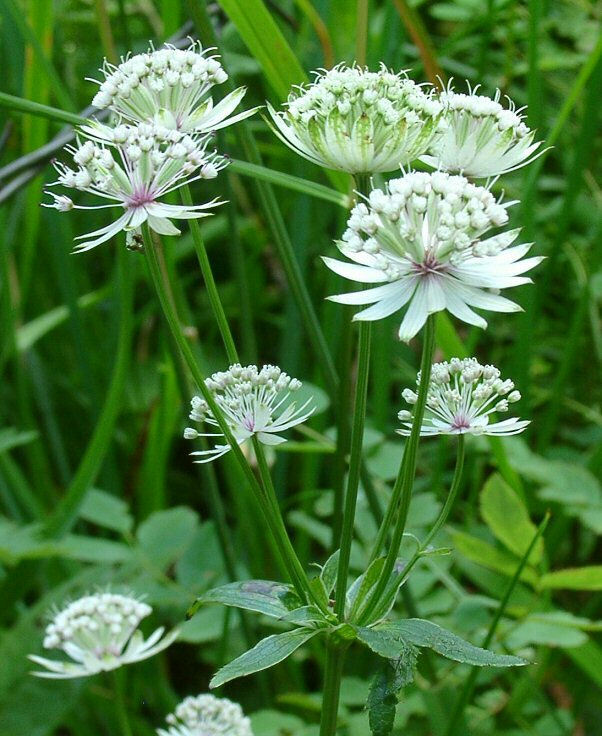 Astrantia – The lovely pin-cushion heads in white / pink / red hues light up early and mid summer months. I have never seen any damage caused by the dogs. Sun or light shade, moist soil, hardy (H4). 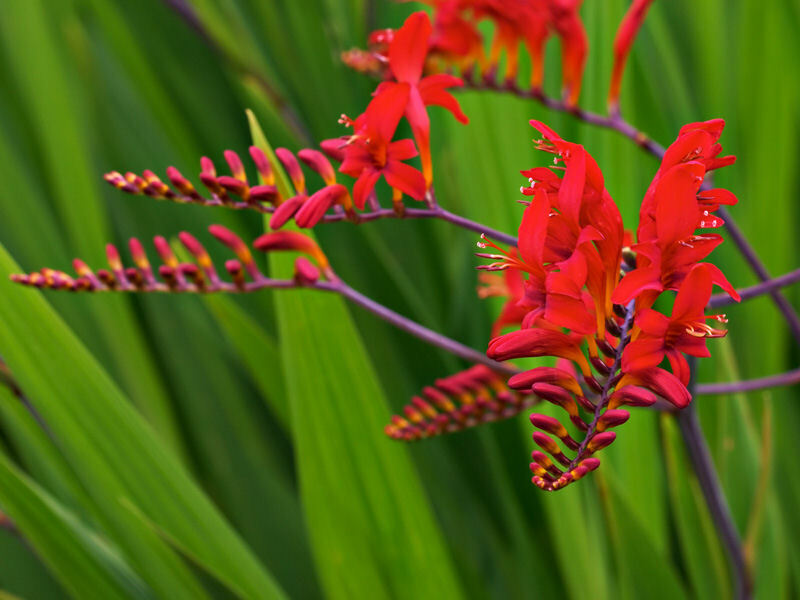 Crocosmia – Technically a bulb. Wonderful flowers that gradually open along the flower spike. Flowers in late June, just as many other plants are going over. Colours range from the vibrant red of Lucifer, through bright oranges through to pale lemons. Sun or partial shade, moist well drained soil, hardy (H4). 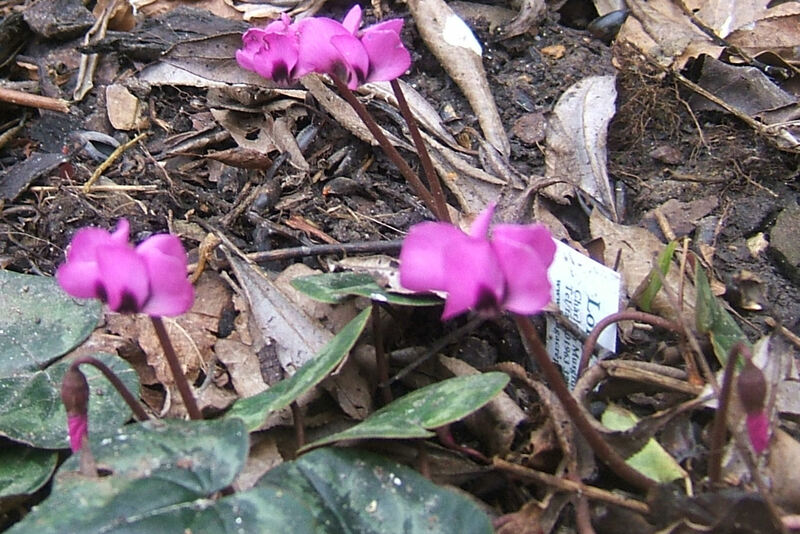 Cyclamen – A jewel that flowers in autumn or early spring, depending on the variety. Lovely variety of leaves available from dark green to almost silver. Seems remarkably resilient to the impact of dog’s paws. Partial shade, moist well drained soil, hardy (H4). 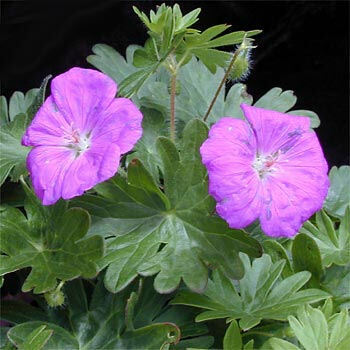 Geranium – The Hardy Geranium has to be my first choice in recommended plants for any garden, but especially ones with dogs. They should not be confused with Pelargoniums which are a totally different plant. Geraniums are typically medium sized plants which come in a range of colours in the white / pink / blue range. They are tough as old boots and seem to be remarkably suited to living with dogs. 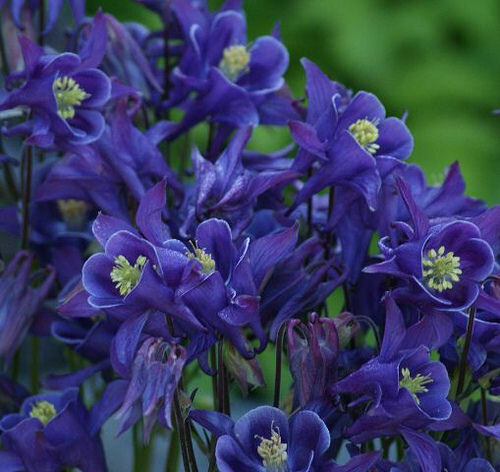 Sun or light shade, moist or well drained soil, hardy (H4), flowers late spring with a possible second flush in summer. 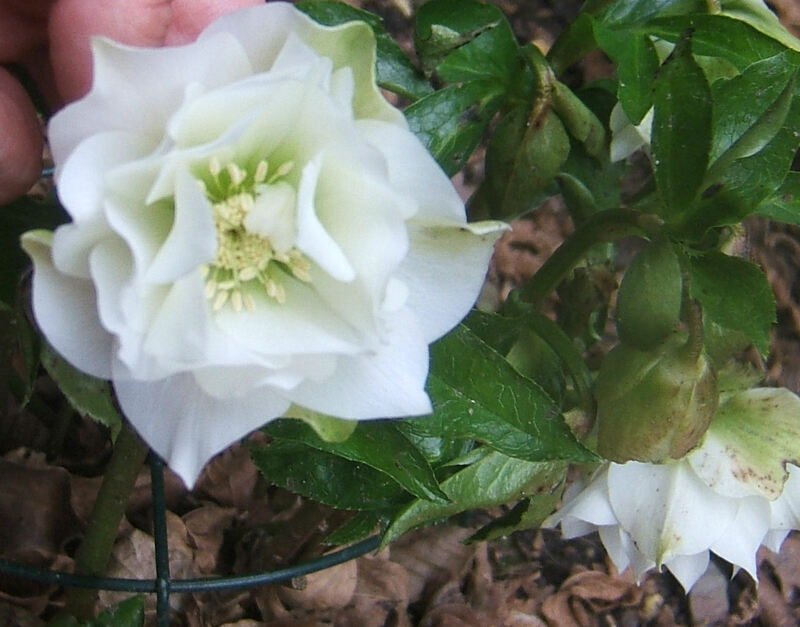 Hellebore – aka Lentern Rose – A wonderful plant which brings garden interest in an otherwise quiet time of year. Their heads bend down and have to be lifted to really enjoy the flowers, although breeders are now developing plants which are more upright in habit. If dogs happen to knock the odd flower off, then you can display the flowers in the traditional bowl of water. 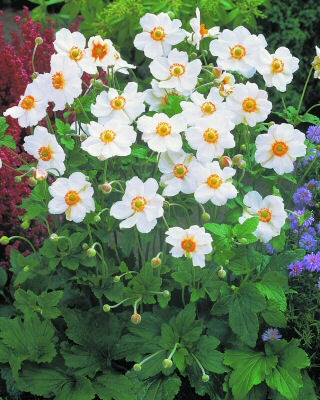 Sun or light shade, moist or well drained soil, hardy (H4), flowers early spring. 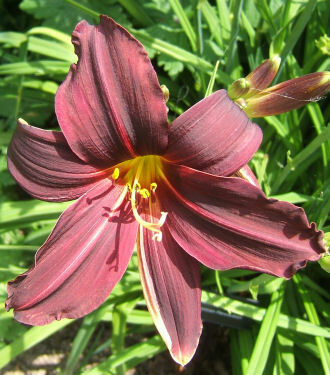 Hemerocallis – Also known as the Daylily. Each flower only lasts a day, but the plant will flower for weeks. A remarkably robust flower that is also safe to eat, for you (and your dogs, if they really have to) – try adding it to your salads for extra interest. They come in a range of colours in the lemon / red / purple spectrum. Sun, moist or well drained soil, hardy (H4). 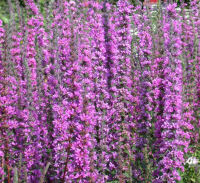 Lythrum – Also known as Purple Loosestrife. Produces tall purple spires, according to the books up to 3ft tall, but mine grows to 6ft. Self seeds and, once established, very hard to remove plant (pickaxe will probably be required). Sun, moist soil, hardy (H4).